It’s one of the all-time horror greats, it spawned numerous sequels, spin-offs and inspired numerous haunted house copycats. It even became the subject of a top 20 hit single – Lovebug Starski’s Amityville (House on the Hill). 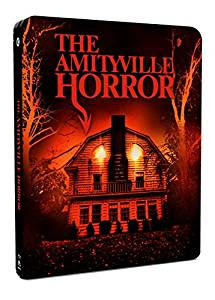 And now, almost 40 years after it scared homeowners everywhere witless, The Amityville Horror is finally getting its first ever UK Blu-ray release in a limited edition Steelbook courtesy of Second Sight. Stuart Rosenberg’s seminal shocker The Amityville Horror starring James Brolin (Westworld), Margot Kidder (Superman) and Rod Steiger (On the Waterfront), is a genuine horror classic based on terrifying true events, and makes its Blu-ray debut complete with brand new bonus features on 26 June 2017. When George and Kathy Lutz and their children move to Amityville, Long Island they believe they have found the perfect family home. But the house has a shocking history and within its walls a demonic presence lies in wait that will turn the Lutz’s lives into a living nightmare. Their only hope is to get out before it’s too late. 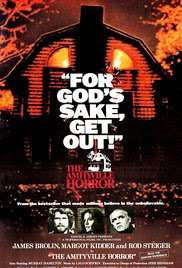 Prepare to be scared when you visit the original haunted house in The Amityville Horror.